Join us in Hackney this summer and experience the dynamic London social enterprise scene. 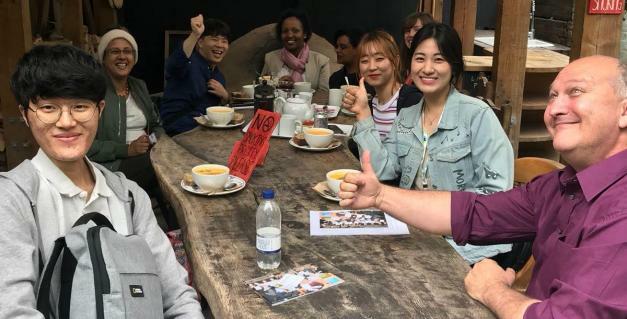 The London Social Enterprise Summer School (London SESS) provides international students a focused and immersive learning experience of social enterprises in Hackney over three weeks* in the summer. *HCD also offers customised placements to learn about their work and associated social enterprises for government officials, professionals, university faculty etc. Please contact Douglas Racionzer (d.racionzer@hcd.coop) for further details. Immersive experiences (placements) at recognised Hackney social enterprises in London tailored to your interests. Training and coaching from Ashoka fellow; Douglas Racionzer. University credits (qualifications) related to local economic development, social enterprise, community development and urban regeneration. Student accommodation with your own room providing breakfast and self-catering amenities. Pick-up and drop-off at the airport. A great social programme curated by local Hackney residents. Placement 1 = June 26th to July 16th 2019. Placement 2 = July 23rd to August 13th 2019. Training will be at 62 Beechwood Road,London,E8 3DY, England. Social enterprise placements will be at one of our 300 social enterprises in Hackney. This will cover teaching materials, field trips and living expenses. Please note: International students will be responsible for the following expenses – visa, airfare, health and travel insurance and their personal expenses. Who: Students (either full or part time) in their undergraduate (year 3 or 4) or masters (year 1 & 2) can apply. Interested students can apply directly or be nominated through their faculty coordinators.